A cafe named after JYJ Park Yoochun’s drama ‘Rooftop Prince’ has appeared in Tokyo, Shibuya. 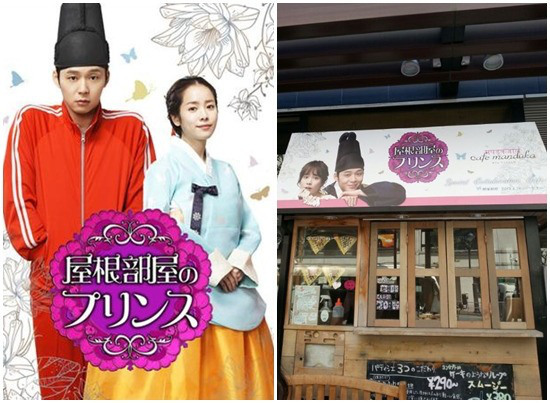 According to the Japanese Hallyu site ‘Mpost’, “‘Mandoka’, which is located in the heart of Tokyo, Shibuya, will be holding a ‘Rooftop Prince’ event for two weeks from the 26th April till the 9th of May.” The cafe is holding this event to go along with the DVD release of the drama. 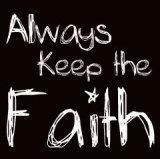 It is to support the first edition DVD release on the 5th of this month, as well as the second DVD release on the 10th of May. During the event, the cafe will be giving out signed gifts as prizes and will be showing various videos related to the drama. the ‘Omurice’ that captivated Park Yoochun and his trio will be available for fans for a limited time as a special dish. ‘Mandoka’ has held a collaboration event for Girls’ Generation, 2PM and Aziatix. Although many Hallyu drama are extremely popular in Japan, this is the first time that a cafe has used a drama’s name. 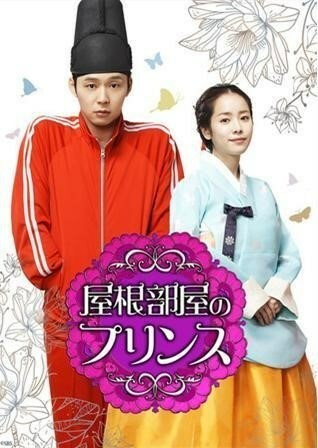 Meanwhile, ‘Rooftop Prince’ is the story of Joseon Prince Lee Gak (Park Yoochun) losing his love (Jung Yumi) and traveling 300 years into the future and falling in love with Park Ha (Han Ji Min) in the 21st Century. 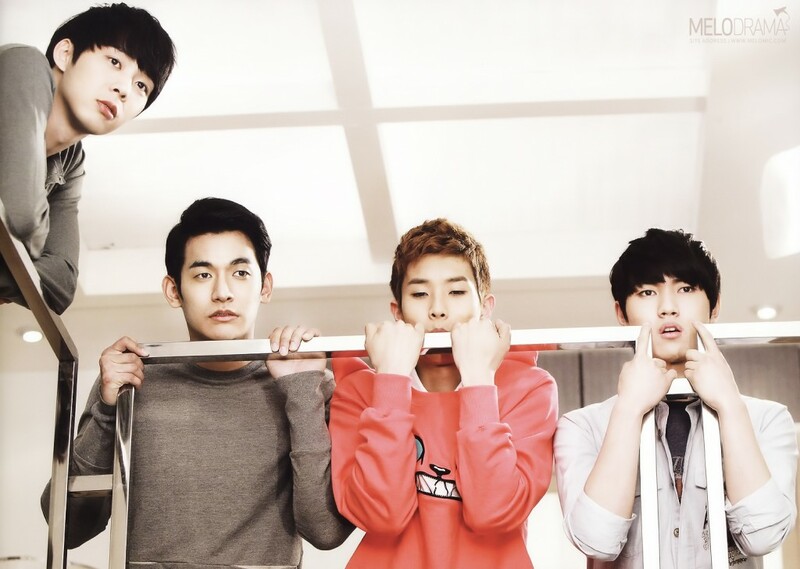 ‘Rooftop Prince’ was chosen as ‘The Most Anticipated Korean Drama in 2012′ by Japanese people, even before the drama aired in Korea. 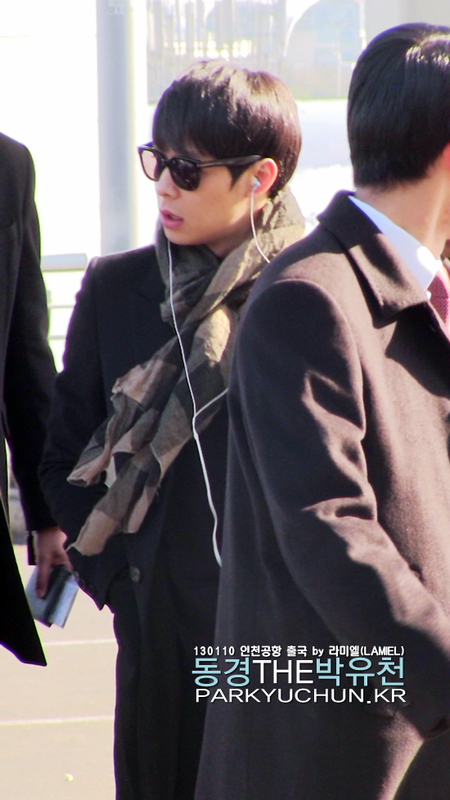 When Park Yoochun arrived at the Beijing airport on 10 January, a large number of fans carrying blue balloons and blue banners greeted him there, and there were even fans who had clothes pegs in their hair just like the younger Lee Soo Yeon did in “I Miss You.” Netizens said that the “airport had become a concert hall,” proving Yoochun’s high popularity in China. 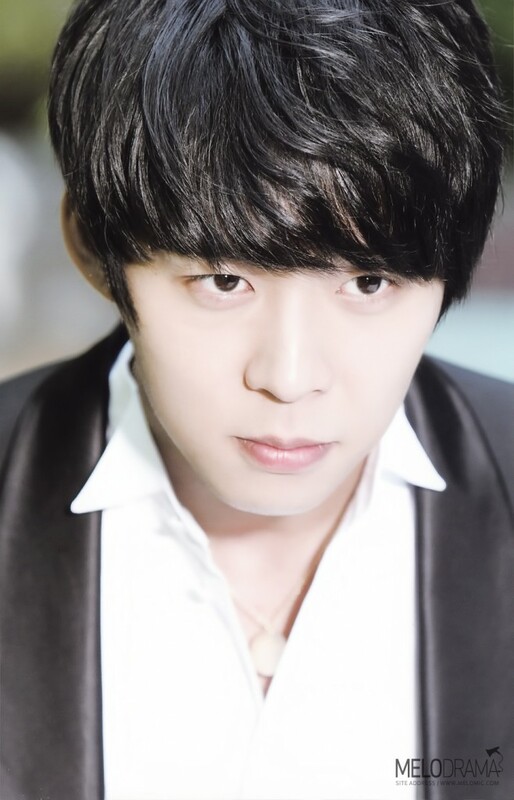 Park Yoochun made his debut in 2003 and became popular as a member of TVXQ, and started activities as part of the group JYJ in 2010. In the same year, he made his official entrance into the Korean drama industry playing a lead role in the drama “SungKyunKwan Scandal”, then participated in “Miss Ripley” in 2011. 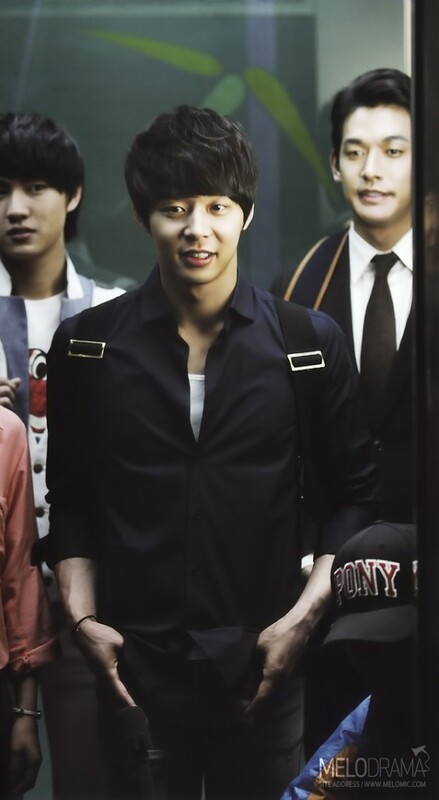 Within those 2 years, Park Yoochun’s acting skills have gradually matured, and finally, in 2012 he took on a drama that combined the two popular themes of “time-slip” and “crown prince” attained massive local and international popularity for the drama “Rooftop Prince.” Then in winter of 2012, he co-stars with Yoon Eun Hye in the melodrama “I Miss You,” presenting two very different works within the same year and allowing “Actor Park Yoochun” to gain more love and recognition from the audiences. 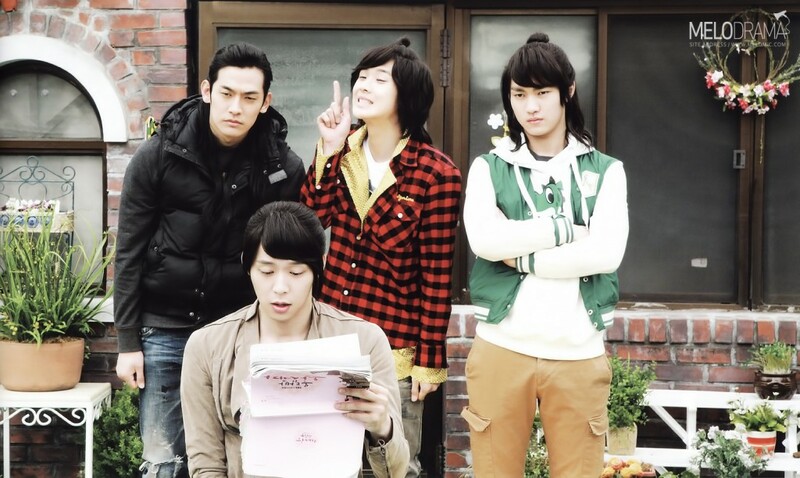 In previous interviews, Park Yoochun had said that he fell in love with the drama “Rooftop Prince,” and he explained this time that it was because everyone had gotten along really well on set and it felt really good. 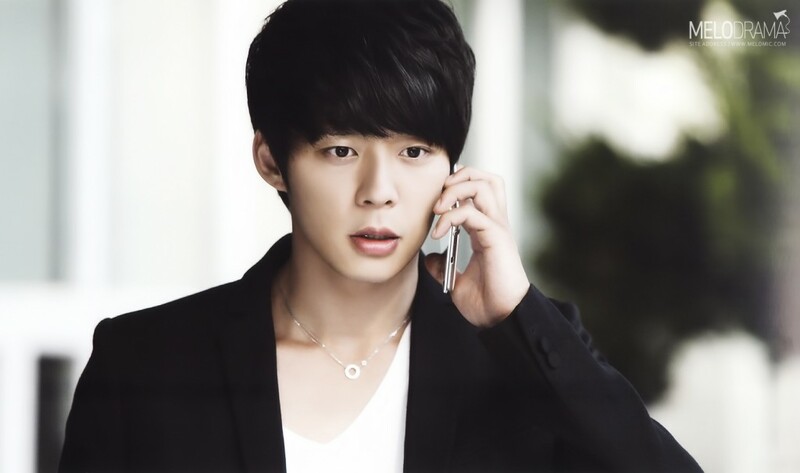 In the 2012 SBS drama awards, his co-star Han Ji Min had praised Park Yoochun, saying that it was usually the female lead that brightens up the mood on set but Park Yoochun had taken her place in cheering everyone up instead. 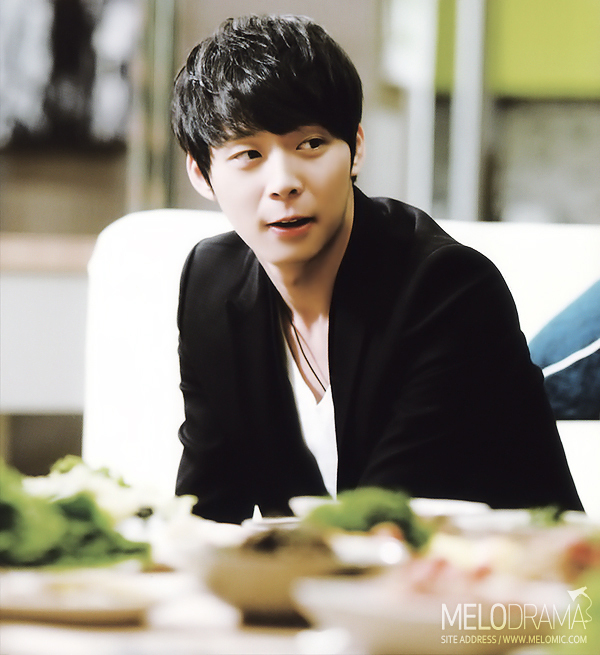 When talking about the two roles that he had to play in “Rooftop Prince,” Park Yoochun said that he had placed more focus on Lee Gak, as the role of Yong Tae Yong was a new one but Lee Gak’s assumption of his role (in the drama.) He also talked about scenes that left a deep impression on him, such as the happy ending in the final episode as his reincarnation is reunited with Park Ha; the tearful wedding in episode 19 when he leaves the modern world, and how the scene before the wedding where he confesses to Park Ha while lying on the bed had brought tears to his eyes even though the script didn’t call for it, showing how Park Yoochun had become one with his drama character. 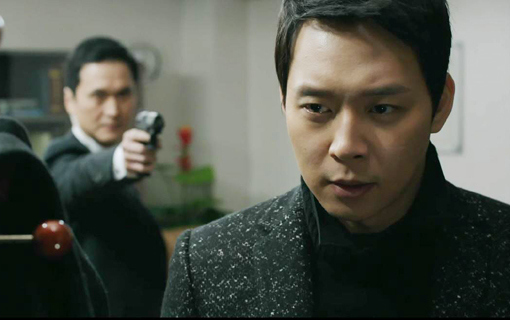 As for the current drama “I Miss You” which is still being broadcast, Park Yoochun said that even though many people object to this, he still hopes for a tragic ending, because he feels that only Han Jung Woo’s death can the bring the story to a close. 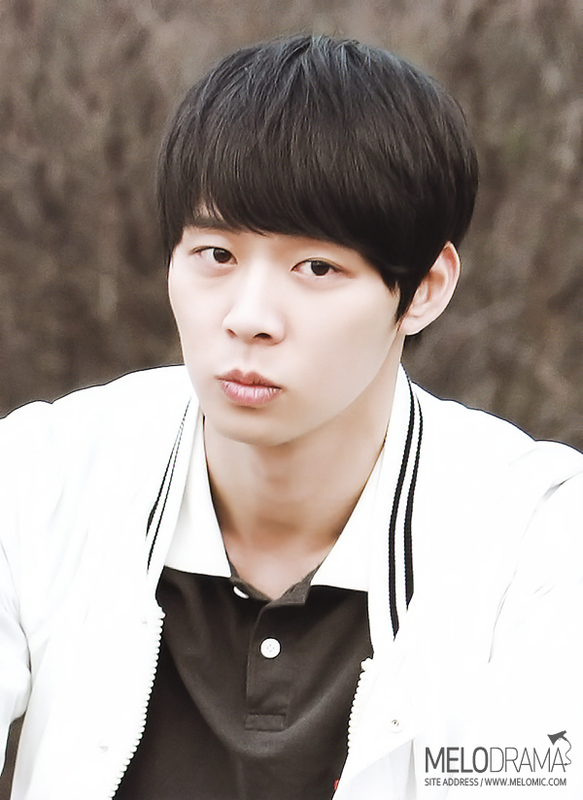 With regards to the character of Han Jung Woo, Park Yoochun said that he envies Jung Woo, because Jung Woo is a normal person, who is very humane, occasionally brash, occasionally childish. 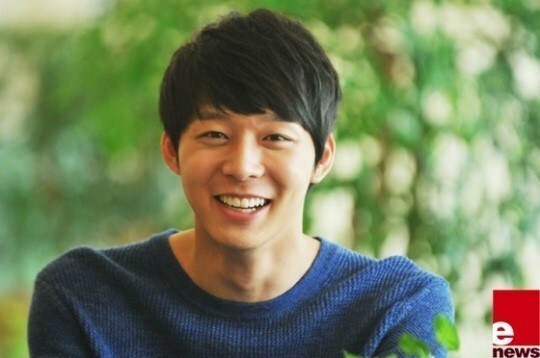 As for the kiss scenes which everyone was concerned with, Park Yoochun said that the feeling of the scene that was aired is usually different from when it was shot, but in both dramas, but as he got along well with both female co-stars Han Ji Min and Yoon Eun Hye, shooting the kiss scenes were easy. He also said that the kiss in episode 18 of “I Miss You” is the first time he was kissing and smiling at the same time, as he was always crying in previous kiss scenes. 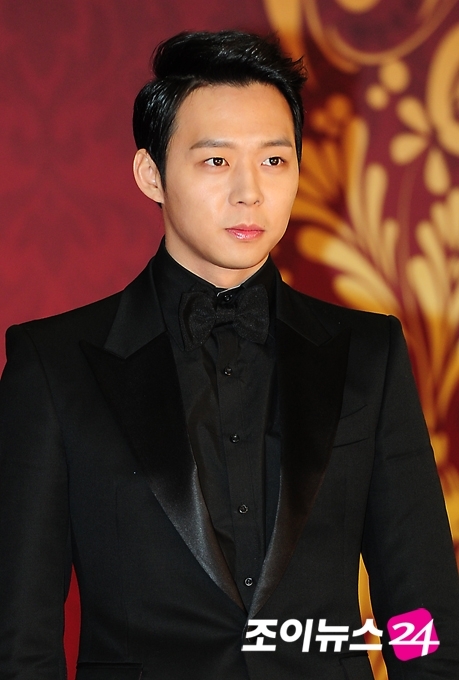 As for movies, Park Yoochun expressed that he does not feel the rush to appear in movies, and that it wouldn’t be late for him to do so even after he turns 30 or 40. This is because his acting would be more mature by then, and there would be more roles that are suitable for him. 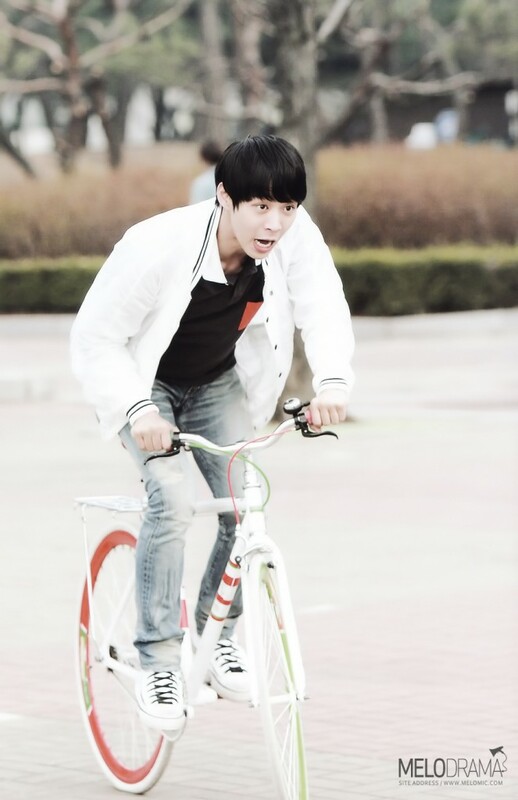 As for the genres of movies that he likes, Park Yoochun said that he thought about trying out horror shows but gave up because he was afraid, that shooting love stories are tiring and take up too much energy, and that he really wants to try shooting a war film, for example having 500 horses gallop towards him…a descriptive example with such strong imagery that the media in attendance started laughing. When talking about the delicacies in China, Park Yoochun said that lamb skewers are his favourite, causing the audience to break out into laughter once again. With his coming to Beijing and holding this press conference so early in 2013, his plans to break into the China market are unspoken yet obvious. 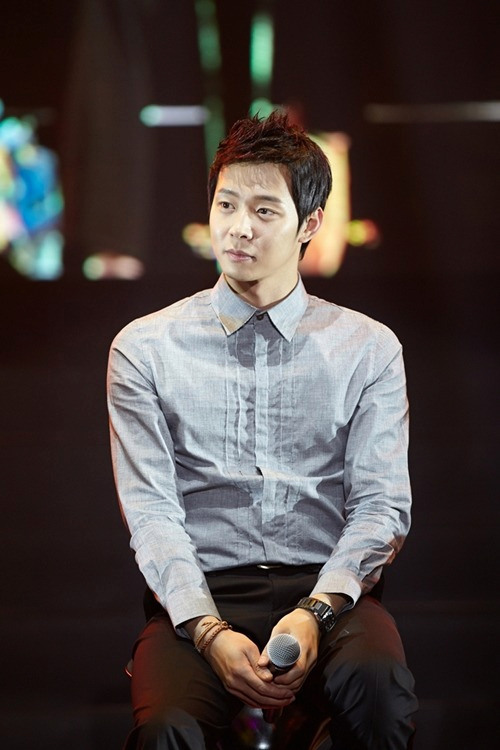 Park Yoochun said that he had only gone to Shanghai for his 2012 fanmeeting tour, and was busy with the shooting of “I Miss You” after that, having no chance to come to Beijing. He said that Beijing was very cold, but was actually not as cold as Korea. Time was passing by so quickly that he himself didn’t realise that it had been a year and a half since his last visit for the JYJ concert tour. Currently, he has received a lot of requests to appear in Chinese films and dramas, and that he is still looking for a suitable piece. 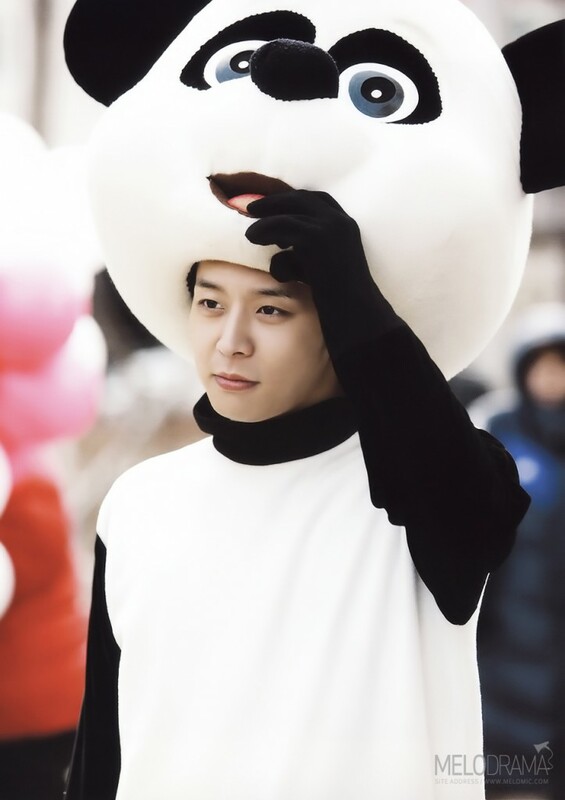 We hope that in the near future, we will be able to see more of Park Yoochun in China. 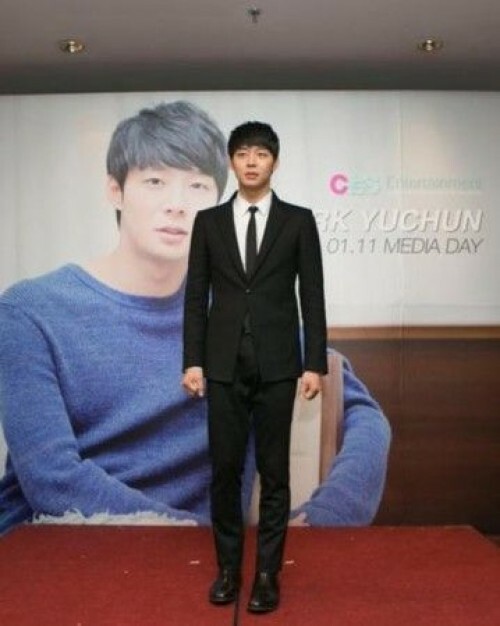 Park Yoochun’s Media Day in China was attended by over 100 reporters. 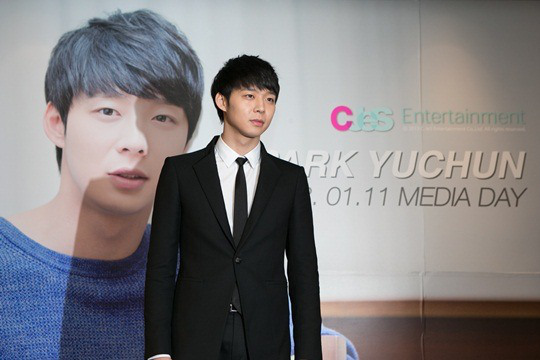 On the 11th of January, Park Yoochun held a Media day at a hotel in Beijing, China. The event was held by C-JeS Entertainment in response to the popularity Park Yoochun is experiencing in China for his roles in ‘Rooftop Prince’ and ‘I Miss You’. The media event was attended by CCTV, broadcasting channels and entertainment news programs, news channels, famous publications and online news outlets including sina.com. 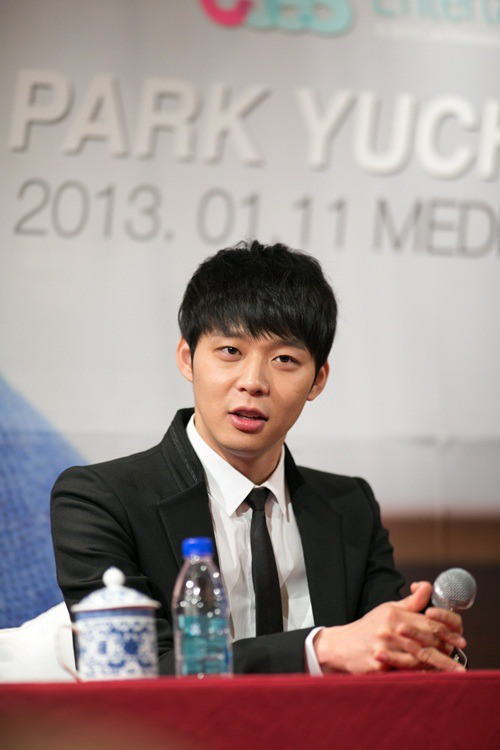 Park Yoochun held a press conference with reporters, interviews with news outlets and group interviews with major entertainment broadcasting channels. The response from Beijing fans was explosive as well. Park Yoochun arrived in China on the 10th and was greeted by more than 1,000 fans who had been waiting for him at the airport. The route from the airport to the hotel where the press conference was held, to the hotel itself, was crowded by hundreds of fans. 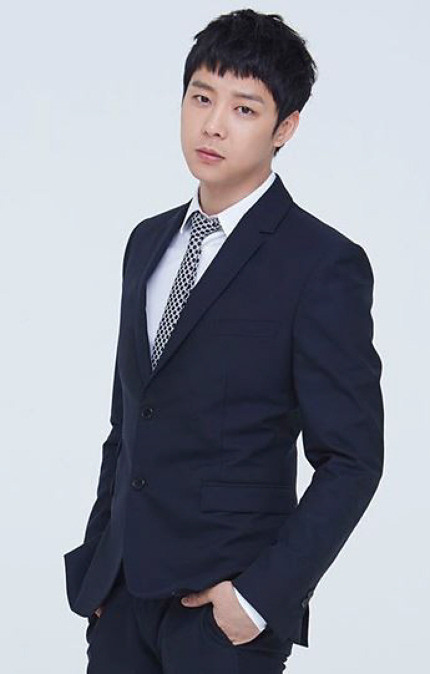 Park Yoochun made his debut as an actor through the drama ‘SungKyunKwan Scandal’, and as appeared in ‘Miss Ripley’, ‘Rooftop Prince’ and ‘I Miss You’, making a grand slam at the awards ceremonies of the three major broadcasting companies by winning both the Rookie of the Year award and the Excellence award as well. ‘Rooftop Prince’ became extremely popular in China, and has become the most downloaded drama on one of China’s major drama websites. The drama also had the highest viewer ratings of all Korean dramas aired since 2011 on Taiwan’s GTV. ‘I Miss You’, which is currently airing in Korea, has collected over 45 million views for its first ten episodes in a month since it was uploaded on the Chinese portal site sohu.com’s internet broadcasting service sohu TV. 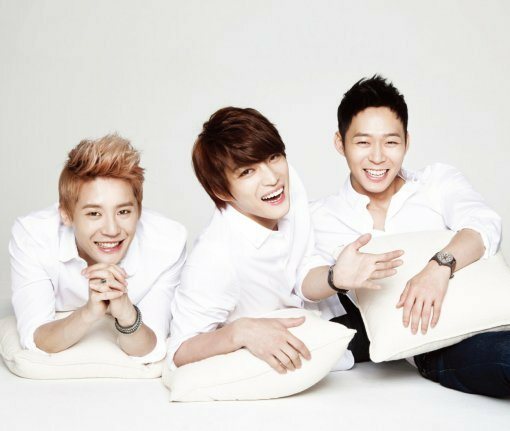 Three members of South Korean idol group JYJ came separately to Taiwan this year. 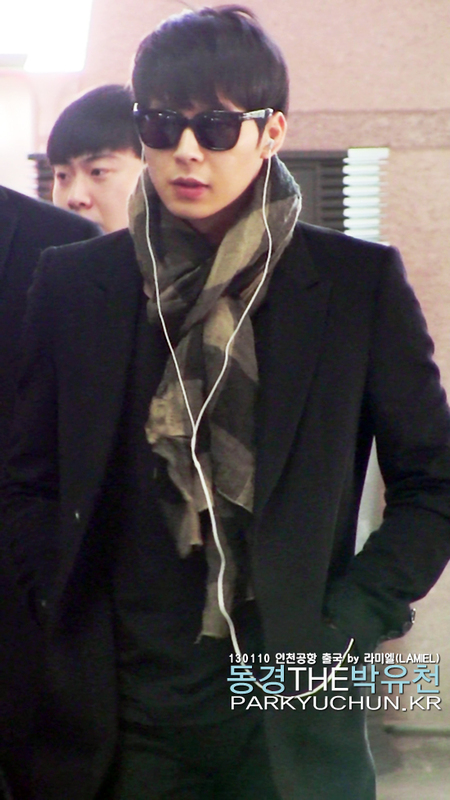 After Jaejoong and Junsu, Yoochun arrived in Taiwan yesterday evening, getting himself ready for the fan meeting tonight. More than 300 fans welcomed him (T/N: They used a term for welcoming/receiving the royals in the past.) at Taoyuan airport. Donning a casual wear with denim shorts, slippers and shades, he waved and smiled to the fans and media before moving off quickly to the hotel. 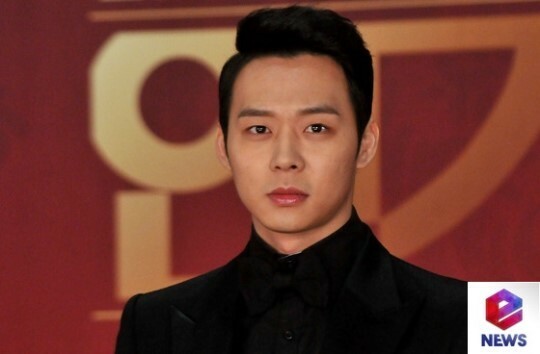 Yoochun received awards at the Seoul Drama Award for his drama ‘Rooftop Prince’, including ‘Best Hallyu Actor’, ‘Best Popularity’, increasing his popularity to a newer height. 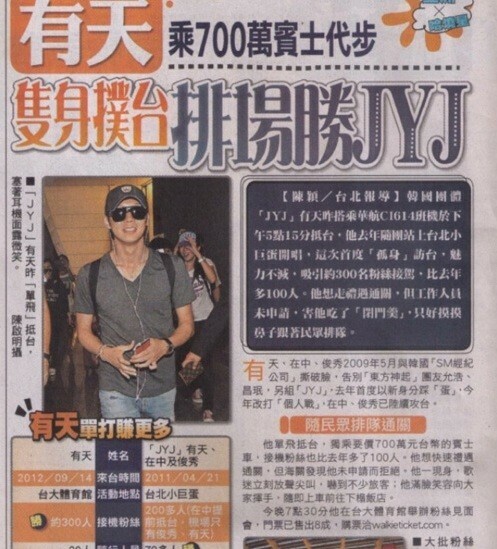 His first solo arrival in Taiwan is for his fan meeting tonight at National Taiwan University Sports Centre, with 80% ticket sales for the 4000 allocated seats.